Classic European full body massage. Combined with contemporary techniques to promote relaxation, calming your mind, body, and spirit. Deep pressure is applied to muscles, fascia, and tendons. The goal is to break down adhesions in the muscle and release chronic muscle tension.This massage increases circulation, stimulates the nervous system, and helps soothe aches and pains. Experience a luxurious and relaxing massage combined with deep heat therapy. Smooth, polished Basalt stones are heated and incorporated into the massage. The sensations prompted by technique promote the loosening of tight muscles, relieve stress and ease tension. A specific application of Swedish massage, compressions, deep fissure work, and cross-fiber friction range of motion movement. This massage yields immediate, significant, and verifiable results in sports performance, delayed-onset muscle soreness, and injury rehabilitation. A special treat (safe during the 2nd or 3rd trimester) for both the mother-to-be and baby. Client lies side position bolstered with pillows to ensure complete comfort. Pre-natal massage helps to relieve aches and pains of pregnancy. Specific pressure is applied to the feet releasing tension, reducing fatigue, and improving physical balance to the entire body. Quickly relieves stress, tension, and improves circulation using a variety of techniques. Warm layers of vitamin A and E enriched Paraffin intensely hydrates the skin and cuticles of the hands and feet to add softness for days. Therapeutic Massage within the comfort of your own home. Available with all massage treatments. Pure grade essential oils will not only create a feeling of renewed well being but can help from a variety of Essential oils to customize your treatment today. dōTerra pure essential oils are revolutionizing the way families manage their health. We harness nature's most powerful elements and share these gifts through our global community of Wellness Advocates. 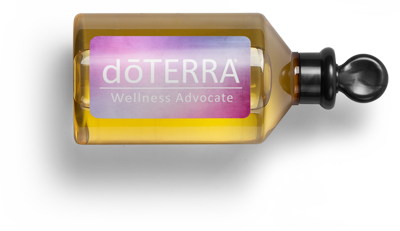 dōTerra products available for purchase. Interested in becoming a Member or Wellness Advocate? Just ask Christy.